The 2013-2014 Graduate Profile booklet for the Centre of Geographic Sciences (COGS) was designed to help potential employers, seek out, and find suitable geomatics based candidate for positions within their company. COGS graduates come with varied backgrounds, experiences, and skill sets and are eager to help potential employers fill the needs of their organizations. 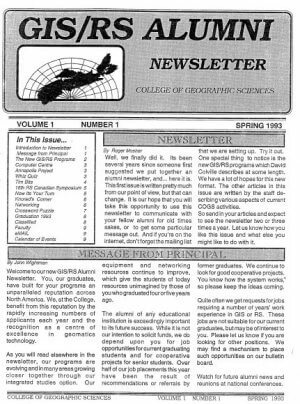 Today we have the GIS/RS Alumni Newsletter to share with everybody. It was created and sent out to COGS alumni in the spring in 1993. I believe it was the first and only issue that was created had although Sally O’Grady said that they had great aspirations to keep it going. 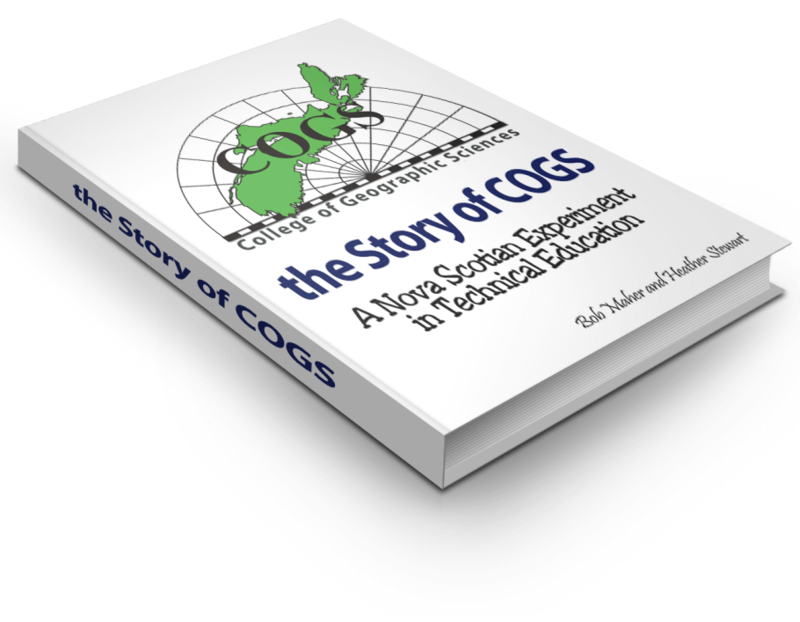 We think that it is an interesting historical piece that many would enjoy reading and reminiscing about their time at COGS. In side the 10 page PDF newsletter you will find various contributions from Dave Colville, Tim Webster, Pearle Chambers, Konrad Dramowicz, Piotr Proszynski, Sally O’Grady, Roger Mosher and many others about the various different aspects of the GIS/RS programs. There are also various images, some trivia and a cross word puzzle. Do you have any COGS related information, photos or other material that you would like to share with the COGS Alumni network? If so then we would love to hear from you.